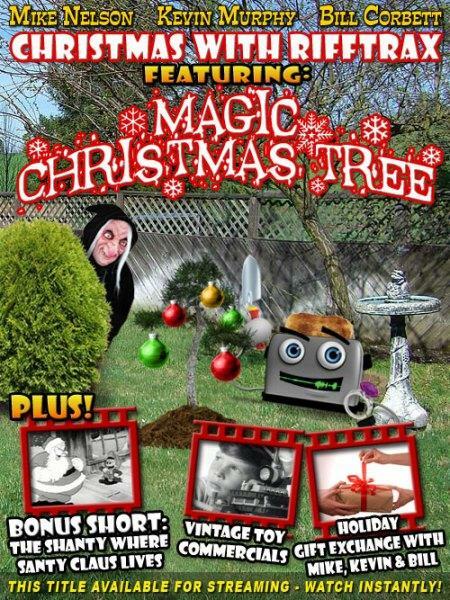 Ah, Christmas. 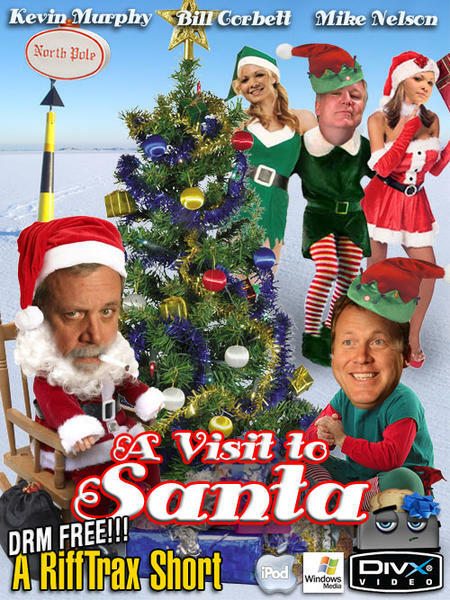 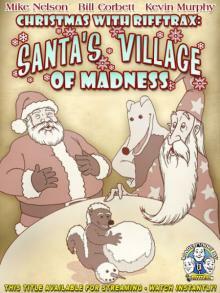 That magical time of year when Santa travels all over the universe by means of the fifth dimension, (which his close friend Merlin invented in a floating space castle), delivering toys that were made by a skunk in a factory overseen by a wolf in a village whose head of security, Puss in Boots, occasionally has to fend off giant ogres. 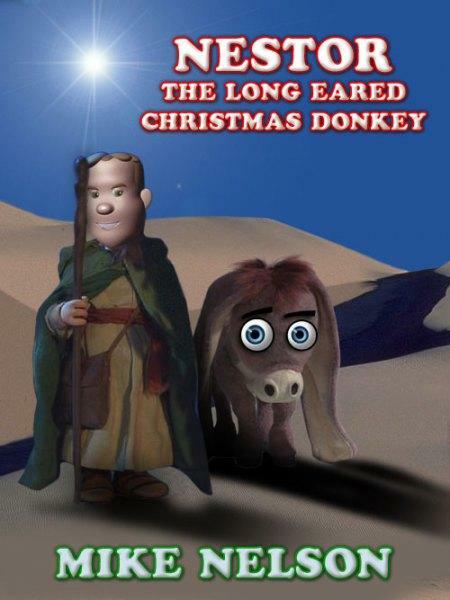 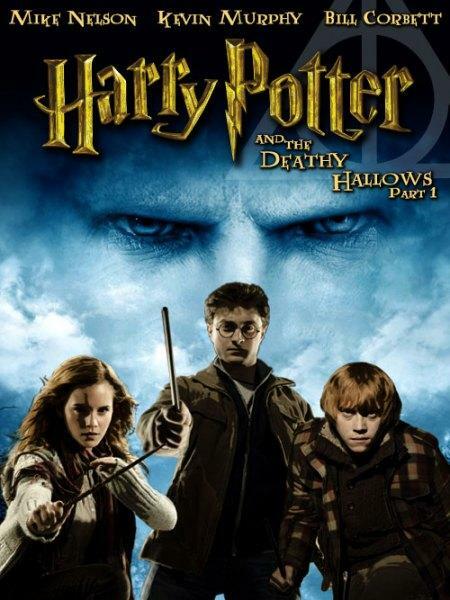 A story so familiar and comforting, it’s like wrapping yourself in a warm blanket. 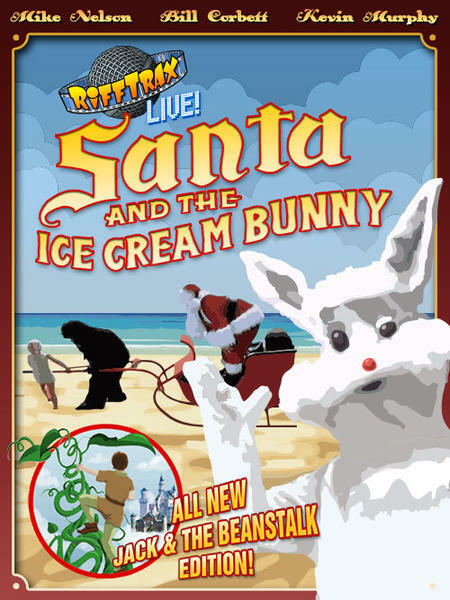 By which we mean it’s so insane and twisted, it makes the Ice Cream Bunny look like Tiny Tim Cratchit. 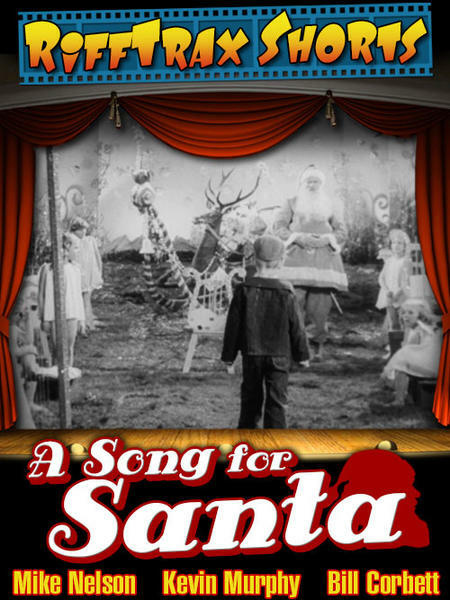 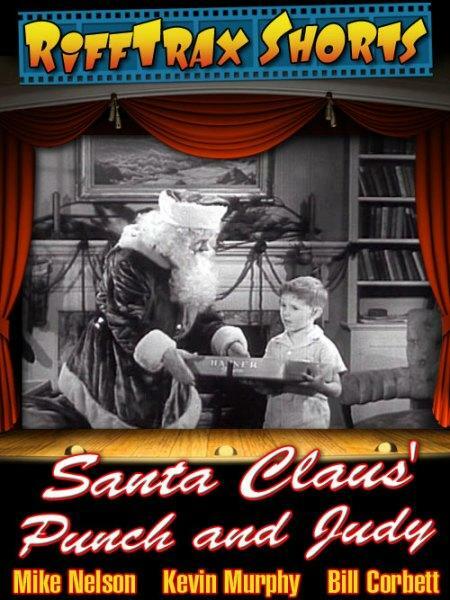 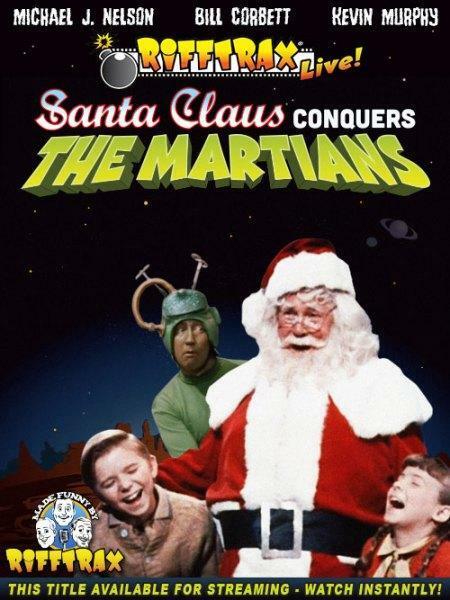 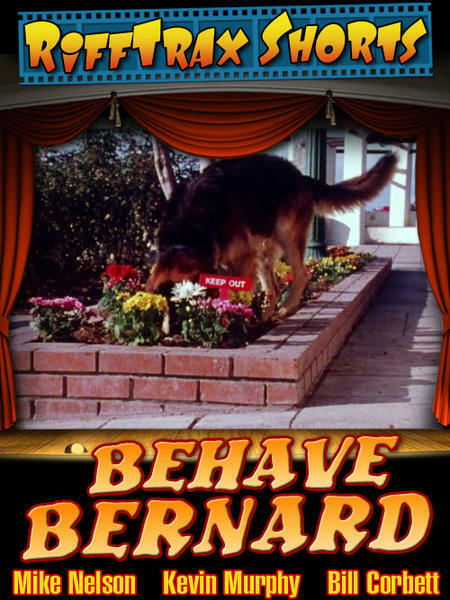 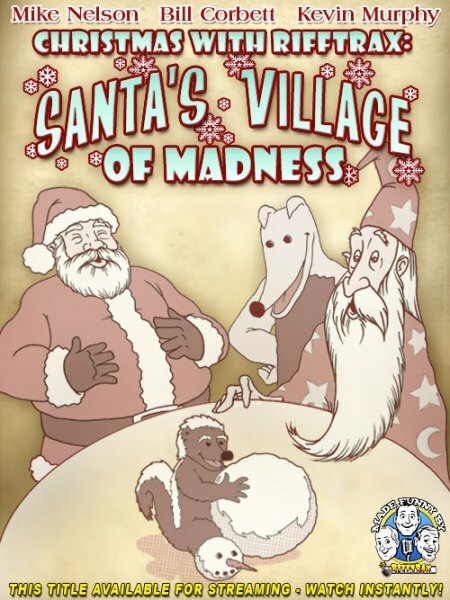 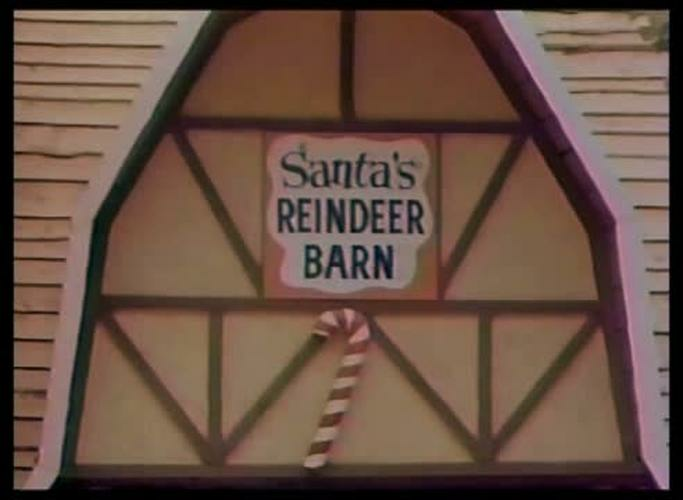 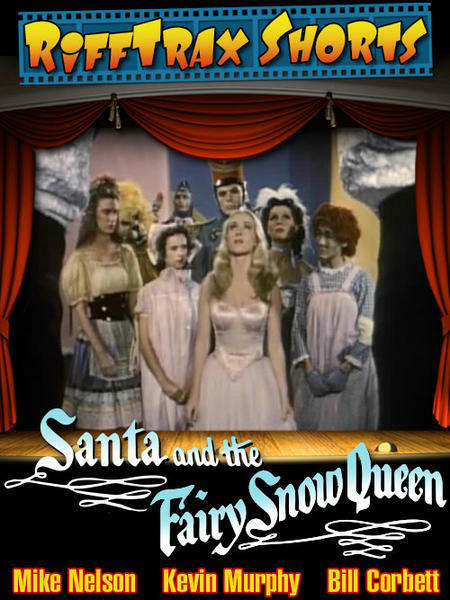 Christmas with RiffTrax: Santa’s Village of Madness is three shorts from the mad mind of K. Gordon Murray, who brought you the MST3K episode Santa Claus. 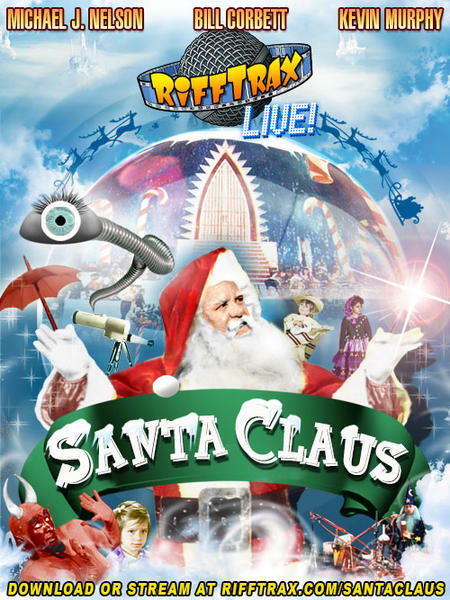 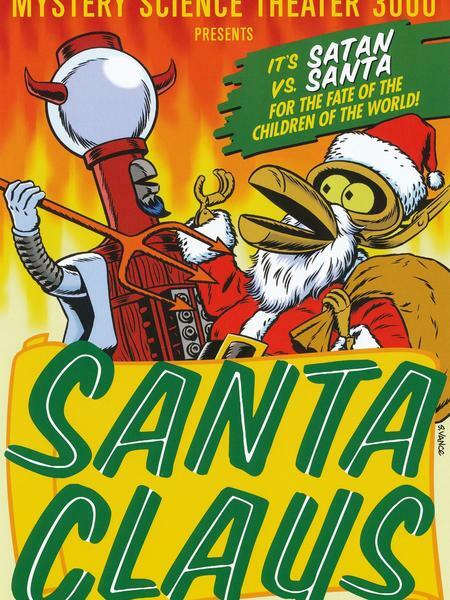 Featuring cheap mascot costumes, terrifying music, an utter lack of coherence and a Santa who appears to have been dead for most of the shoot, they are some of the most astounding things we have ever laid eyes on, and will quickly become a new yuletide tradition, provided your eggnog is adequately spiked. 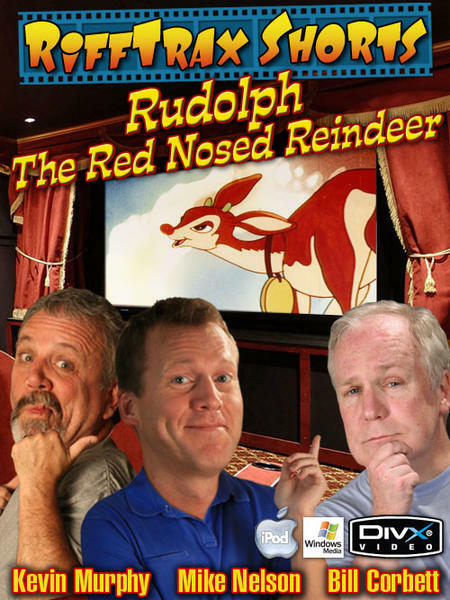 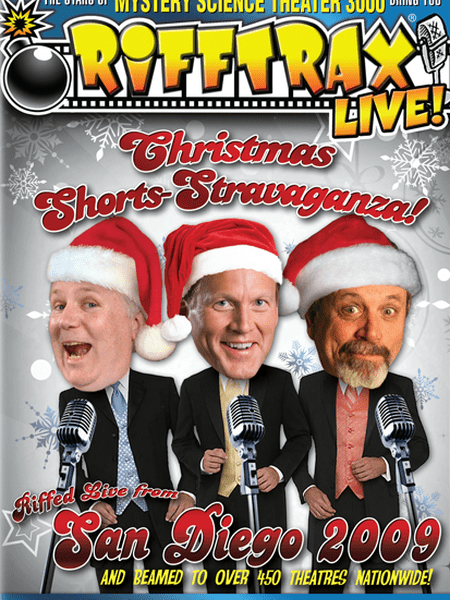 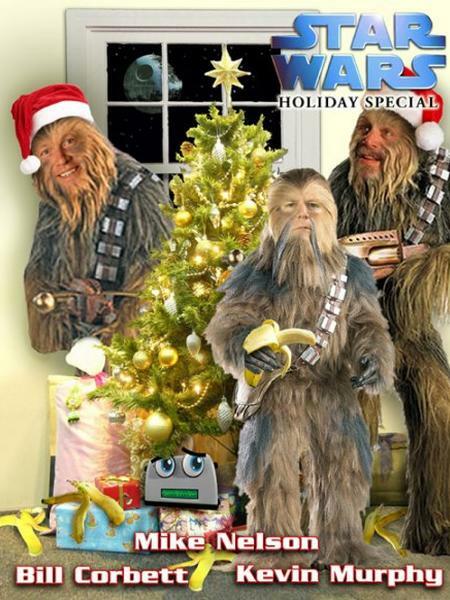 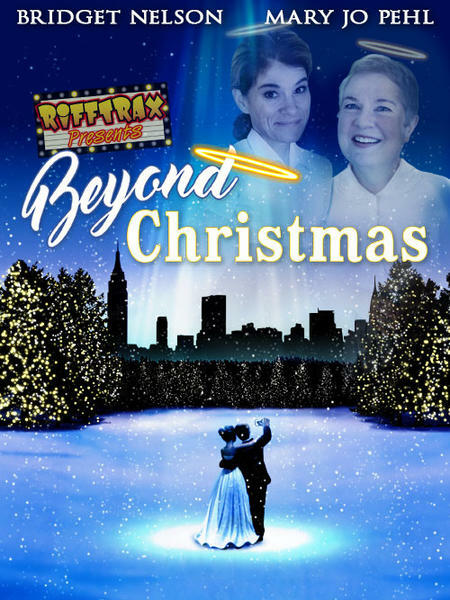 Mike, Kevin and Bill will be your hosts throughout your journey, introducing each short with their best brave faces as they stare into the abyss of Christmas Skunks and magic flowers that subvert the space/time continuum! 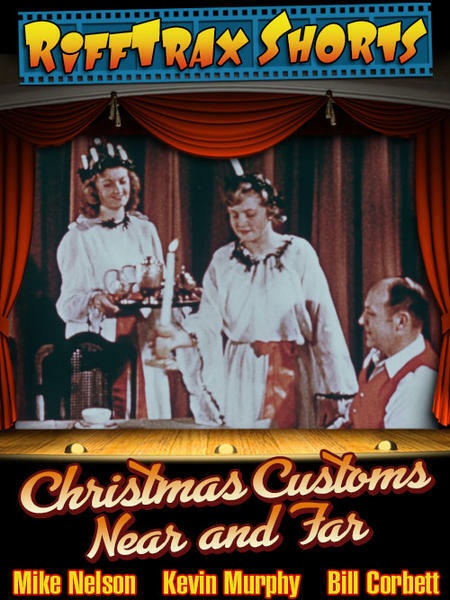 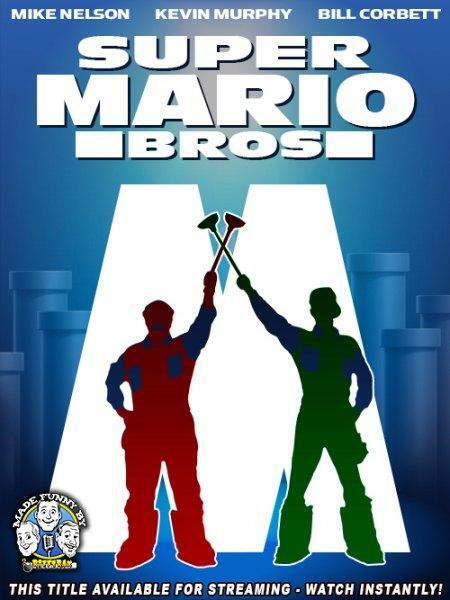 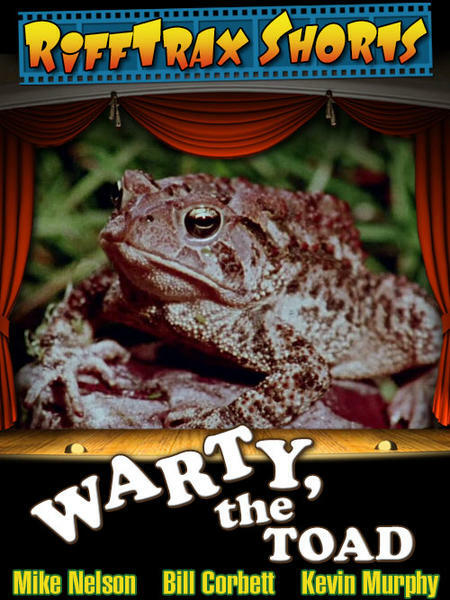 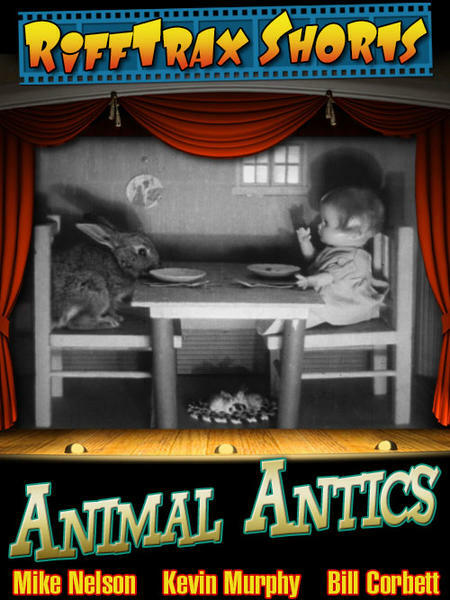 The DVD version includes exclusive bonus shorts not found on the VOD: What's Happening, Let's Pretend: Magic Sneakers, Join Hands Let Go, and Aesop's Sound Fables: Frozen Frolics!